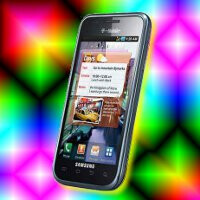 Besides the 4G moniker in its name, there isn’t much to visually differentiate the Samsung Galaxy S 4G with the Samsung Vibrant – and even worse, it’s rather difficult to side with it considering its $149.99 on-contract price right now. Naturally, for $50 more, you can seemingly pick up newer devices like the HTC Sensation 4G. However, T-Mobile hints that the Samsung Galaxy S 4G will be getting one serious price drop next week to really give it a fitting price point. Looking at one recent Twitter post, they mention that the handset will be going on sale for free with a contract on June 22nd. Indeed nice, it’s unknown whether it’s going to be a permanent thing or simply nothing more than a limited time promotion. Regardless, at free with a contract, there is no denying that it’s worth the price at that point – even if there are other shiner handsets out there. So if you’ve been eying this one and have been holding back on picking it up, then you might want to check out their web site come next Wednesday. I wouldn't go to TMobile for lack of general coverage and the prospects of it being bought out by ATT even if their phones are free. 1ghz Processor, 4" super amoled, and front facing camera for free... Must be sarcasm? @psn1819 Yeah, then you should get a $100 refund once you get the Iphone on contract for free.